Even smarter: with Reflex Control Smart, the Servitec Mini can now be operated via smartphone and tablet. 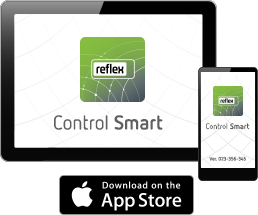 This makes the app a further digital service for the installer to carry out simple commissioning. End consumers can also adjust individual degassing times such as weekdays and operating times. Malfunction messages are displayed in the app – for example, if a water loss or shortage is detected.